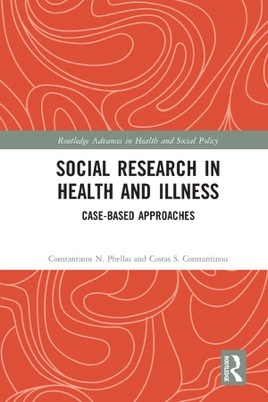 Social Research in Health and Illness offers a theoretically informed guide to practising the key social research methods in investigating health and illness. Examining both methods and methodology, the authors explore the importance of selecting the appropriate research method for the project in question, demonstrating that researchers do not simply apply a set of neutral techniques to the issues that they investigate, but take part in a dynamic, reflective engagement with social and cultural worlds in a process of continual learning. With its application of a variety of research methods to concrete cases, this book provides a sociology of specific health conditions, thus rendering them more understandable, whilst clarifying the nature of research concepts, approaches, methods and methodologies by demonstrating their use in real-life settings. Drawing on case studies involving a range of health conditions, including mental illness, HIV, diabetes, kidney disease, Alzheimer’s disease, heart disease, breast cancer, thalassaemia and multiple sclerosis, the authors examine a range of methodological issues, exploring the use of focus groups, observation, data archives, interviews and surveys, while also considering questions of ethics and analysis. A comprehensive and practical examination of research methods in use in a defined field of social scientific enquiry, this volume is essential reading for scholars, graduate students and healthcare professionals with interests in conducting qualitative and quantitative research in the fields of health and medicine.